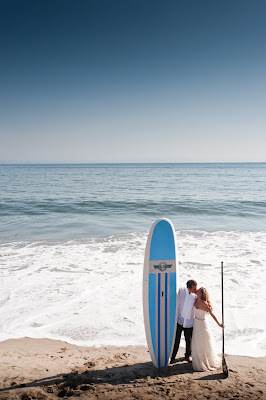 The bride and groom paddling off into the Pacific moments after their wedding at The Four Seasons Biltmore in Santa Barbara. 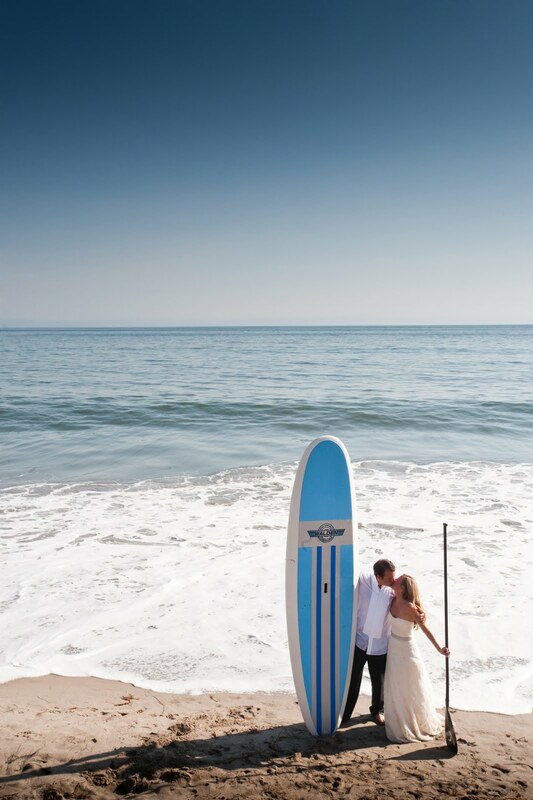 Not too many brides have the pleasure of going into the ocean in their Monique Lhuillier gowns. This is one couple who will never be "bored". The groom and groomsmen enjoyed an afternoon at the beach the day before the wedding. The amazing husband and wife team of Amy and Stuart shot this wedding.